You frequently see advertisements for John Dory in Pattaya…at unbelievable prices. Many of these are, unfortunately, quite misleading. In this article, I will show some of the reasons that may lead to false advertisement – sometimes unknowingly – and explain why Casa Pascal is no longer serving John Dory in Pattaya. What makes John Dory so special? Some people consider John Dory one of the most delicious fish you can get on your plate. In France, it’s called St. Pierre, Germans call it Sankt Peters Fisch, and Italians know it as Pesce San Pietro. This popular water animal is not native to Thailand. It has to be imported. A whole John Dory. Notice the black dot. As so many imported specialties, John Dory has its price. At a wholesaler John Dory fish starts at 1,200 Baht for the whole fish, which yields only about 30 % filets of its entire weight. That means the filets costs the restaurateur without other ingredients already 4000 Baht per kilo, or 800 Baht for a portion of 200 grams. Oddly enough, there are some places they sell a John Dory Filet at a price starting from 200-300 Baht. What’s up, Pattaya restaurant scene? There is a practice that is all too common in restaurants and hotels in Pattaya and Thailand: selling you a certain product which is in fact not at all what it is described on the menu. There are a few classic “mishaps”, often as a result of wrong translation. Sometimes these mistakes are simply due to lack of linguistic or culinary knowledge. But all too often, an owner or the management of an establishment knowingly uses wrong names to sell you an item of lesser value. Usually, it’s a flat fish called Pacific Dory, also known as Pangasius. This fish costs as little as 85 Baht per kilo. Sure, it does have “Dory” in its name, but it is a very different fish. While John Dory belongs to the Zeidae family of fish, Pangasius is a member of the Pangasiidae family. Its shape, texture, and taste cannot be compared to a genuine John Dory. Whenever you look at a menu that lists John Dory for less than 800 baht per serving, you know that you are being cheated! In fact, according to this article, there are some people who believe the often served alternative to John Dory, should not even be consumed. Besides the price, how else can you spot the difference? Have a close look at the filet you are being served. A real whole John Dory filet has a rhombus-like (and sometimes triangular) shape, depending on how the chef trims the filet. The most evident proof of the genuine John Dory fish is the black spot on the skin, just beside the head. A real John Dory Filet. Notice the shape and black dot. A real John Dory filet never has a long and narrow shape. Pangasius and Pacific dory is often used to make fish and chips… or whatever is promised on the menu! 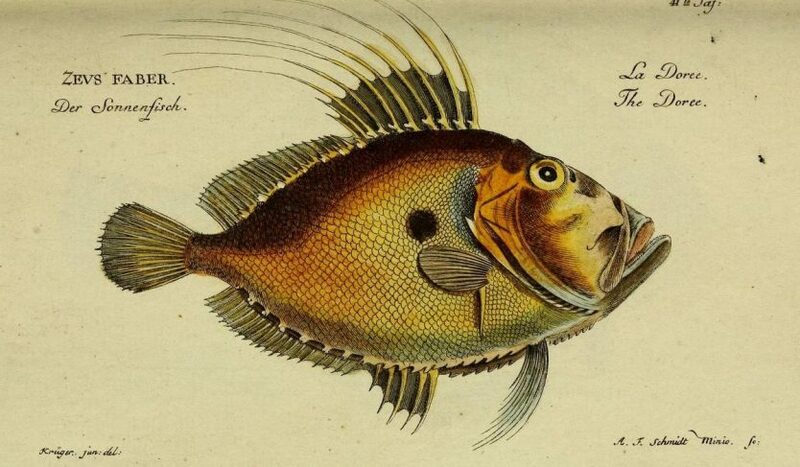 But make no mistake, it is not a genuine John Dory. Pangasius – often sold as John Dory in Pattaya. At Casa Pascal we used to offer genuine John Dory, but since some other, even well-known restaurants in Pattaya sell a different product under this name, we don’t offer it any longer on the menu. The reason is simple: these dishonest practices by some restaurants and hotels have devalued the exclusive John Dory. I find this a shame, because I adhere to a code of ethics that says: A professional chef must always cook what is sold on the menu. Without exception! We often present authentic imported fish like Atlantic Dover Sole, European Perch, and Trout. Keep an eye out for them on Specials and also have a look at the fish dishes on our a la carte menu. I hope this helps you a bit in your next culinary endeavor in Pattaya’s restaurant scene!